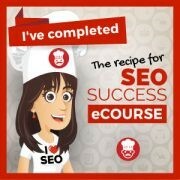 Need an SEO copywriter for your business but not quite sure what they do? SEO copywriting is about writing content that people like to read and Google can understand. The difference between SEO and copywriting is SEO also deals with the technical part of your website like page speed, backlinks, domain authority and many other back-end factors while copywriting focuses purely on writing content. It’s about including words and phrases your dream customer is using to find businesses like yours and making sure the content appeals to them at the same time. SEO is not a sprint; it’s a search engine marathon. If your website fails to tick basic SEO boxes, even fantastic copywriting won’t do much for your business. I also explain everything I do in simple language and run monthly reports, so you can see what’s changing and improving. If you need an SEO copywriter who can write best practice SEO content with enticing page titles and meta descriptions, call me on + 61 403 650 990 or email rashida@rashidatayabali.com.au. SEO is not scary. Let’s make it work hard for your business.